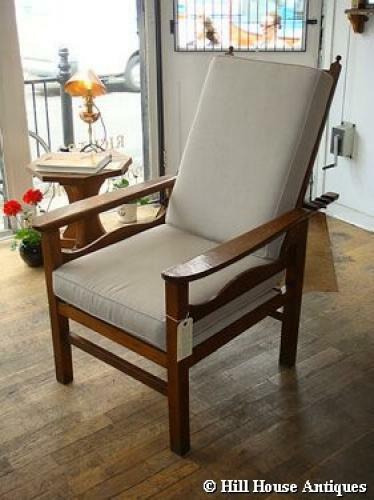 An early Ambrose Heal Arts & Crafts oak recliner c1900, the styling very much in the manner of CFA Voysey, with shaped arms and undulating shaped apron below. Seat & back pads newly recovered in plain linen. Extremely comfortable.